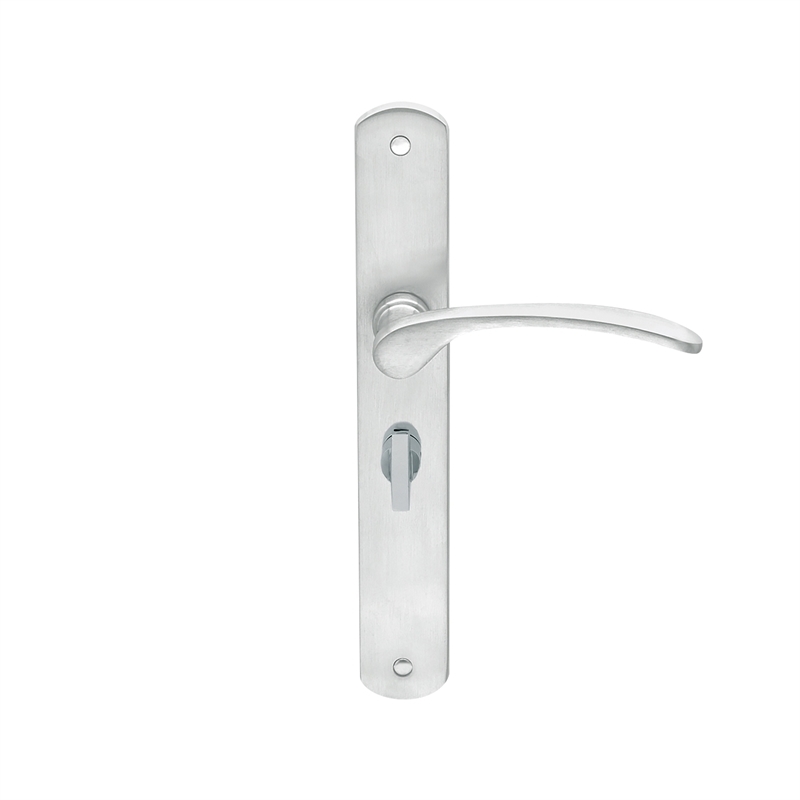 Long plate privacy lever door furniture on plate. 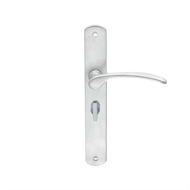 Includes handle set, spindle and fixing hardware. Use with Delf Privacy bolt 2413SC.